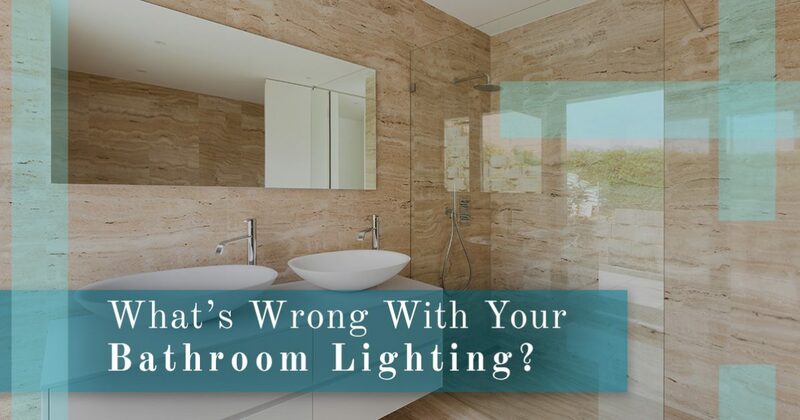 What’s Wrong With Your Bathroom Lighting? If you’ve lived in your house for some time, then you’re probably used to its little quirks and inconsistencies. There might be a light switch that doesn’t do anything, or there may be a fixture in the bathroom that doesn’t work all the time. While you can live with these issues, it’s important to be aware of anything that could pose a potential hazard. If you’re looking for new bathroom lighting, then Lighting One of Cincinnati is here to help. Depending on the age of your house, the wiring behind the walls might be a bit outdated. If you turn on the main bathroom fixture and it takes it a few seconds to fully illuminate, then the wiring might be to blame. Hiring an electrician to take a look at the wiring is often the best way to find a solution. If the wiring is good, but the connection to the fixture is bad, then we can help you find a new light that looks and functions better within the space. You want your bathroom to be bright, at least bright enough so that you can see what you’re doing in the mirror when you’re shaving or putting on makeup. If that’s not the case, then your light bulbs might be to blame. If you don’t have the proper lumen output, then you could be left with dim lighting that makes the bathroom appear dingy and uncomfortable. You’ll also want to check the color temperature of your bulbs. A bathroom should have bulbs with “cool white” or “bright white” temperatures that fall between 3500 and 4100 on the Kelvin scale. If the lights in the bathroom work and the bulbs are the right temperature and brightness, but you still feel something is off, then take a look at how many shadows there are in the room. Is there a stand over the toilet that’s casting a shadow? Are there plants in the room that catch the light from a recessed fixture and cast a shadow on the countertop? If your lights are obstructed by too many objects, then you could be left with shadows and poor lighting throughout the room. 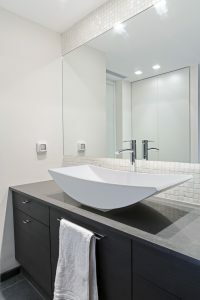 Clearing out the space and minimizing the amount of objects can help you maximize the lighting in the bathroom. If you have questions about bathroom lighting, or you need help finding new fixtures, then come to our showroom today. Our experts can explain the best way to optimize your lighting, and how you can get the most comfort and enjoyment out of your bathroom. We’re open Monday through Friday from 10 a.m to 6 p.m., and on Saturday from 10 a.m. to 4 p.m. If you’d like to sit down with a lighting expert and discuss your new bathroom lights, then please feel free to schedule a consultation online. We’ll respond as soon as possible to arrange a time that works for both you and the expert.